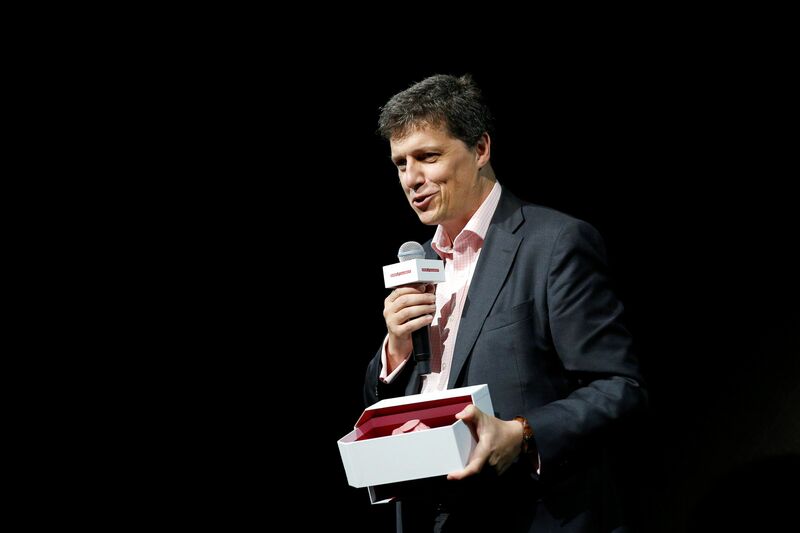 Giant cocoa producer Barry Callebaut presents Ruby chocolate. The Swiss company claims this is a fourth flavour of chocolate after dark, milk and white. SHANGHAI (BLOOMBERG) - A breakthrough by a Swiss chocolate maker has expanded the industry's hues beyond just dark, milk and white. Barry Callebaut, the world's largest cocoa processor, has come up with the first new natural colour for chocolate since Nestle started making bars of white chocolate more than 80 years ago. While it has a pinkish hue and a fruity flavour, the Zurich-based company prefers to refer to it as "ruby chocolate". The new product may help boost sales in a struggling global chocolate market that producers hope has touched bottom. As Hershey cuts 15 per cent of its staff and Nestle tries to sell its US chocolate business, ruby chocolate raises the possibility that next Valentine's Day may arrive with store shelves full of natural pink chocolate hearts. The innovation, based on a special type of cocoa bean, comes after about a decade of development, according to Chief Executive Officer Antoine de Saint-Affrique. The chocolate, unveiled in Shanghai on Tuesday (Sept 5), has a natural berry flavour that is sour yet sweet, according to the Zurich-based company, which works behind the scenes to produce chocolate sold by all the major producers including Hershey and Cadbury. "It's natural, it's colourful, it's hedonistic, there's an indulgence aspect to it, but it keeps the authenticity of chocolate," the CEO said in a telephone interview. "It has a nice balance that speaks a lot to millennials." The new product may also appeal to Chinese consumers, a nascent market for chocolate, Mr De Saint-Affrique said. The company has tested the product in the United Kingdom, the United States, China and Japan through independent consumer research carried out by Haystack and Ipsos. "We had very good response in the key countries where we tested, but we've also had very good response in China, which for chocolate is quite unusual," he said, adding the colour is attractive in that market. Innovations in chocolate often take years because of the complex structures and the challenge of maintaining texture and taste. Nestle scientists have found a way to reduce the amount of sugar in chocolate by as much as 40 per cent, though it would not be available in confectionery products until next year. Barry Callebaut also sells chocolate that withstands higher temperatures, a goal chocolate companies had sought to achieve for decades. 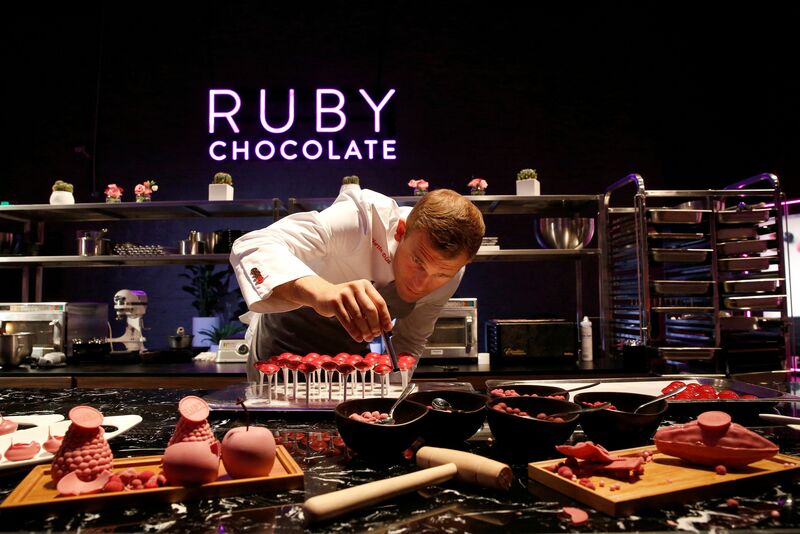 Barry Callebaut's research department came across the possibility of ruby chocolate by chance about 13 years ago as it studied cocoa beans, and Germany's Jacobs University in Bremen cooperated in the development. "It could be excellent news if the taste works for consumers, as it offers a new branch of manufacturers to explore," said Bloomberg Intelligence analyst Duncan Fox. "If they can use less sugar to make a nice bar, then it will an addition to the current market." 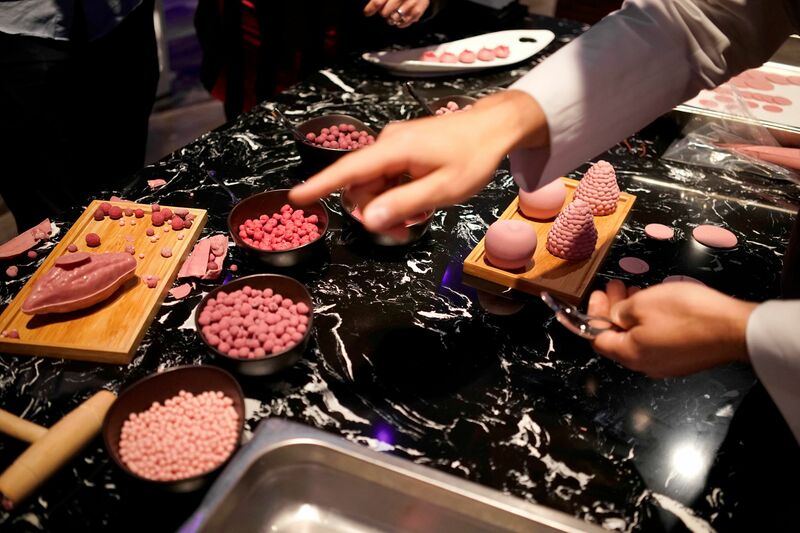 The beans used to make ruby chocolate come from Ivory Coast, Ecuador and Brazil and the unusual colour comes from the powder extracted during processing, Mr De Saint-Affrique said. No berries or colours are added. While other companies including Cargill already produce red cocoa powder, this is the first time that natural reddish chocolate is produced. "You could try and copy the colour and try to copy the flavour, but making a real chocolate, which is just made out of your normal chocolate ingredients, with that taste and with that colour would be extraordinarily difficult," Mr De Saint-Affrique said. The development comes at time when a large global surplus has sent cocoa futures traded in London more than 30 per cent in the past year, resulting in a crisis in Ivory Coast. The top grower earlier this year cut the price paid to farmers by 36 per cent for the smaller of two annual crops that started in April. "If Africa is going to extract more value from cocoa, it has to move away from being a bulk supplier of generic beans and instead focus on enhancing its speciality production," said Mr Edward George, head of soft commodities research at Lome, Togo-based lender Ecobank Transnational. "This has much higher margins."